‘The storm that stopped’ is fantastic. It is a beautiful book, that you’ll want to go back to again and again. 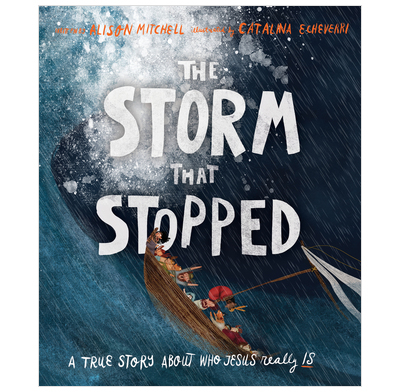 The words and pictures work together brilliantly to re-tell this true story, both engagingly and faithfully. As you read this true “story about who Jesus really is”, you and your children will be plunged vividly into a snippet of Jesus’ life on earth. You’ll see what Jesus is like and what he’s done, and begin to build up a picture of who he is. You’ll get to look on as Jesus calms a storm simply by speaking, to see his ‘god-ness’ as he shows his power over creation, and to see how he cares for his people at the same time. What a brilliant book - all put together in a way that helps children and families alike, to engage with, and delight in Jesus for themselves. A great present for children aged 3-5, or for families with children aged 3-7 to read together.